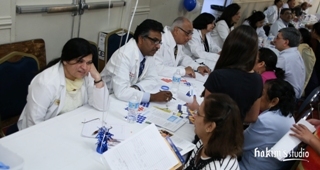 GAPI (Georgia Association of Physicians of Indian Heritage) & GA - APPNA (Georgia chapter of American Pakistani Physicians of North America Descent) held their free health fair on May 4, 2014 in Global Mall, Norcross, graced by many dignitaries including Hon. 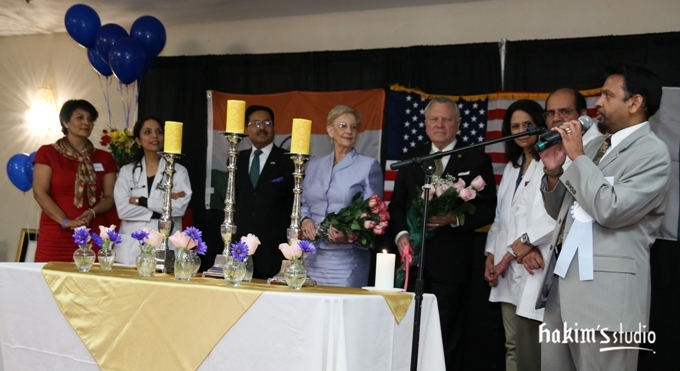 Governor Nathan Deal, First Lady Sandra Deal, Senator David Shafer, and Indian Consul General Ajit Kumar. Organizers Dr. Sara Hyat, Ms. Grace Multani, and Dr. Ghazala Khalid. 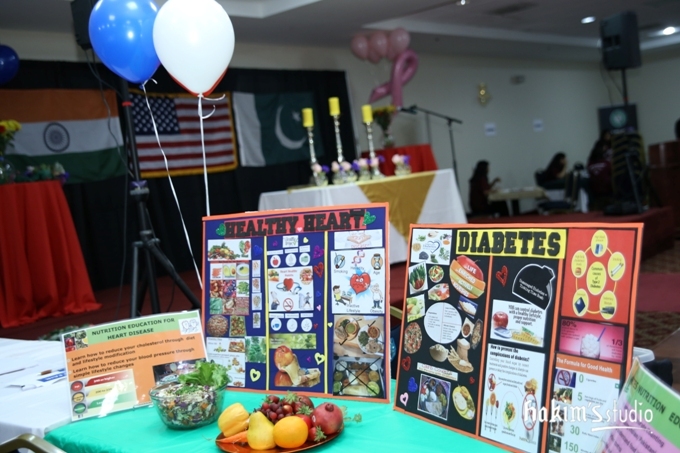 This was the first such health fair orchestrated by the physicians from both India and Pakistan in Atlanta. It all started when Dr. Indran Indrakrishnan, then president-elect of GAPI, was invited as a special guest to the APPNA Annual Gala convention in November 2013. 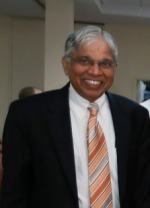 Dr. Asif Taufiq, the newly elected APPNA president, in his acceptance speech extended an invitation to Dr. Indakrishnan to work together for the betterment of Georgians’ health. Having cautiously accepted this invitation, Dr. Indrakrishnan discussed and obtained the blessings from the senior GAPI stalwart leaders such as Dr. Manoj Shah, President of the Medical Association of Georgia; Dr. Naresh Parikh; and Dr. Natrajan to proceed with the project. Then began a series of discreet meetings behind the closed doors of the home of Dr. Sara Hyat, a past president of APPNA. They were joined by Ms. Grace Multani, originally from Punjab and the inspiration behind the concept of a joint health fair, and later by Dr. Ghazala Khalid, a seasoned health fair organizer in the Pakistan physician community who spearheaded the logistics of coordinating the work of volunteers. There were many delicate issues to be sorted out as both organizations have conducted many health fairs in their own styles in the past. Dr Sara Hyat even made sure that only pure vegetarian snacks were served during these meetings. 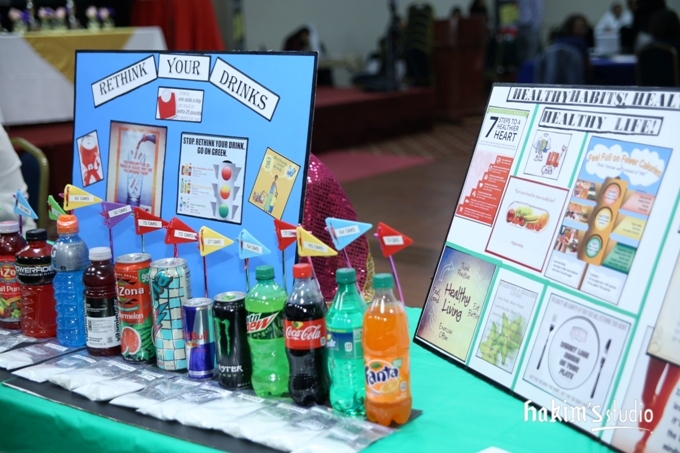 The result was a history-making health fair where more than 300 attendees received not only free specialist consultations but also free tests for mammograms, vascular studies, and blood tests. Senator David Shafer, President Pro Tempore of the Georgia Senate, inaugurated the health fair at 9 am by lighting the candles along with Dr. Indrakrishnan and Dr. Taufiq. Three candles were lit for peace and love, colon cancer awareness and breast cancer awareness. 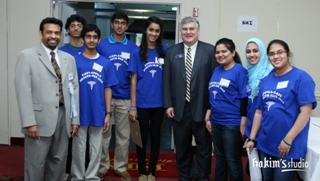 Senator Shafer thanked the Indian and Pakistani physicians and community leaders for their dedicated efforts in helping less fortunate Georgians with health care issues. He greeted all the physicians and volunteers at their stations, discussing their specialties and interests. Many specialists from various fields including Internal Medicine, Endocrinology, Gastroenterology, Cardiology, Dermatology, Pulmonology, Neurology, Ophthalmology, Pediatrics, Psychiatry, ENT, Family Practice, Gynecology, and Nephrology provided the consultations. Blood tests results were made available to the attendees immediately and they were able to obtain suitable advice from the physicians for any abnormal test results. EKGs, dental and visual screening tests were also available. There were separate booths for nutrition, the Affordable Health Care Act, communicable diseases, and colon cancer screening. The Hon. Governor Nathan Deal remarked that it was a very nice event and he appreciated all the work that GAPI and APPNA are doing, not just in the Indian community but the Gwinnett community. He was glad that he was able to see this gratifying event first hand. He thanked the doctors and volunteers and spent an ample amount of time talking to the people in the event hall. This was their first visit to Global Mall, and as expected they were surrounded by many in the hallway on their way out, and the couple kindly spent time with them to take pictures and answer their questions. Ajit Kumar’s appearance at the event had a charming effect, and as usual he interacted very freely with all attendees from both Pakistan and India and was even able to solve some of their questions on site. Many attendees expressed their satisfaction with what this health fair provided and requested that GAPI and APPNA repeat this historic event again next year. Physicians have also expressed their happiness in working together as a team. Dr. Manjeet Singh, a senior dentist and a regular health fair volunteer gave shared that this health fair was the best of all the ones she participated in over the last decade. 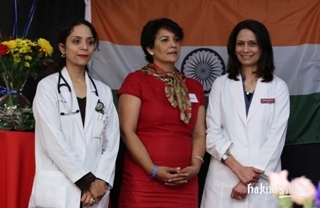 Dr. Sara Hyat and Dr. Indrakrishan awarded appreciation certificates to GAPI and APPNA physician volunteers. Dr. Ghazala Khalid, having thanked volunteers from the Pakistani community and from Third Eye Dancers organization, an Indian nonprofit organization in Georgia, provided them with community work hours certificates. A number of Indian and Pakistani business organizations wholeheartedly supported this event with their sponsorships, another evidence of healthy relationship between the Indian and Pakistani communities of Atlanta regardless of the atmosphere in their respective home countries.